“Officers from the Met’s Counter Terrorism Command are investigating after an incident on a London tube train this morning. 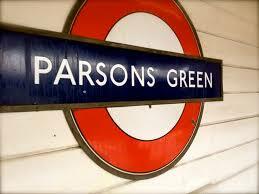 Police were called at approximately 08:20hrs on Friday, 15 September to Parsons Green Underground Station following reports of a fire on the train. Deputy Assistant Commissioner Neil Basu, the senior national coordinator for CT policing, has declared it a terrorist incident. Officers from the Metropolitan Police Service and British Transport Police attended the scene, along with colleagues from the London Fire Brigade and London Ambulance Service. At present we are aware of a number of people who have suffered injuries. It is too early to confirm the cause of the fire, which will be subject to the investigation that is now underway by the Met’s Counter Terrorism Command. The station remains cordoned off and we are advising people to avoid the area. Anyone who has information that would assist detectives is urged to contact the hotline 0800 789 321; if it’s an emergency always call 999. Anyone with images from the scene is asked to upload them to www.ukpoliceimageappeal.co.uk. We urge the public to remain calm but alert and if you have any concerns, see or hear anything suspicious then contact police.